The US Occupational Safety and Health Administration (OSHA) is the division of the Department of Labor that is responsible for protecting the rights of employees. To reduce the risk of injury or death in the workplace, OSHA develops standards and regulations that apply to all US industries. These standards cover many different topics, including employee exposure to chemicals and hazardous waste. 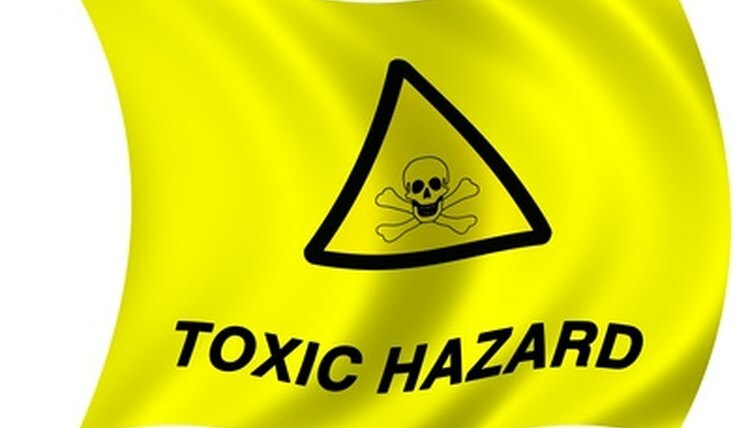 According to OSHA Standard 1910, hazardous waste includes any biological substance or disease causing material that can cause harm if ingested, inhaled or assimilated by an employee. Under this standard, "harm" includes death, disease, cancer, genetic mutations, physiological malfunctions or deformities. OSHA also considers other materials to be hazardous waste if they are defined as such by other applicable organizations, including state OSHA organizations or the US Department of Transportation. Under OSHA guidelines, a variety of different materials may be classified as hazardous waste. These include radioactive waste and nuclear by-products along with laboratory and medical waste materials. Most liquid and gaseous chemicals are also considered to be hazardous waste according to OSHA, as are highly flammable or combustible materials. To satisfy OSHA requirements, all of these materials must be labeled on the container so that workers can easily identify their contents. Hazardous waste spills can occur in many different work environments, including construction sites, manufacturing facilities, oil fields and power plants. They are often caused by drilling or mining operations and may also result from demolition or excavation activities. Wastewater treatment plants are common spots for hazardous spills, particularly when equipment malfunctions. OSHA hazardous waste regulations also apply during storage or disposal or barrels or other containers of waste materials. Even a leak or hole in one of these containers is classified as a spill and requires immediate attention. Under OSHA Standard 1910.120, all employers are required to create a safety plan for workers that handle hazardous waste products. Workers must be trained on the risk associated with these materials and should be taught to identify potential hazards. They must be taught emergency response tactics in the event of a spill and should be trained in the use of personal protective equipment such as respirators and chemical protection suits. All affected workers should be informed of the organizational and management structure in the event of a spill and should understand their own specific responsibilities. All workplaces that contain hazardous waste must be equipped with an emergency alarm system to alert employees if a spill occurs. Once the alarm sounds, workers should be able to either access a safe place of refuge or implement cleanup procedures. Using a buddy system for safety, workers should don personal protective gear and apply foam, neutralizers or absorbents to the waste materials according to cleanup plans. Medical surveillance teams must be brought in to the site to supervise or assist with medical issues, and decontamination points should be set up at all exits. After cleanup is complete, the company must conduct air quality tests to determine if the facility is safe. They must also provide individual medical testing for affected employees to look for any health impacts caused by waste exposure. Beach, Emily. "Standard Regulations by OSHA on Hazardous Waste Spills." , https://legalbeagle.com/6304548-standard-osha-hazardous-waste-spills.html. Accessed 19 April 2019.